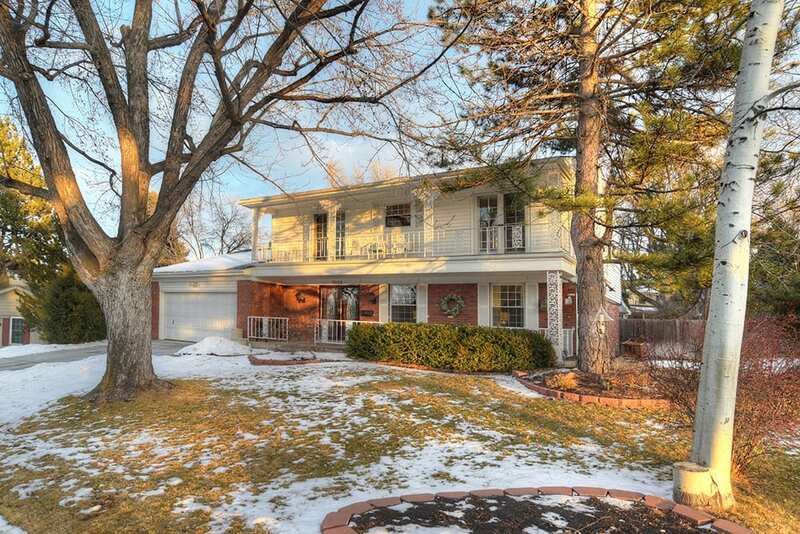 Beautiful Cherry Knolls two-story on a meticulously manicured lot. Desirable location, just a short walk to Sandburg Elementary and the 24-acre Cherry Knolls Park. This spacious home offers more than 3,500 square feet of finished living space with five bedrooms, three-and-a-half bathrooms and an accommodating floorplan. The sunny, welcoming living room greets all upon entry and opens to the formal dining room, ideal for entertaining. Gleaming hardwood floors, upgraded cabinetry and countertops, great views of the tranquil backyard and a casual dining space appoint the fabulous and open kitchen. Just beyond, the comfortable family room is detailed with exposed wood beams and a stately, brick-surround fireplace. Upstairs, find four generously-sized bedrooms, all with newly refinished hardwood floors. The master suite boasts a tastefully updated en suite bath. Enjoy direct access to the covered balcony from two of the upper level bedrooms: a wonderful place to take in the peaceful, tree-lined neighborhood. Plenty of extra room to spread out in the finished basement with a sizable recreation room, the fifth bedroom, a three-quarter bath, flex space and abundant storage. Ample opportunity for outdoor enjoyment in the private, park-like backyard. Entertaining will be a breeze with a built-in gas line and grill that remains. Also featuring a half basketball court, an expansive covered paver-patio, a privacy fence and towering, mature trees. Rest easy with a new driveway and garage floor (2018) and a newer roof with impact resistant shingles (2015). Excellent location, close to the Streets at SouthGlenn, top-rated Littleton public schools, walking trails, the Denver Tech Center and more!